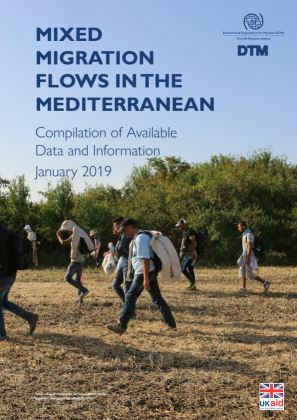 7,671 migrants and refugees arrived in Europe through different land and sea routes in January 2019. More than a half (60%) of all arrivals were registered arriving through the Western Mediterranean Route. Authorities in the Western Balkans, particularly in Bosnia and Herzegovina, Albania and Montenegro, registered a total of 1,026 migrants and refugees, three times more than the 366 registered in January 2018. Estimated 60,728 migrants and refugees were residing in Greece at the end of January 2018. Another 11,179 migrants and asylum seekers were in accommodation centers in other coutnries in the Western Balkans and 131,067 in the reception centers across Italy.